A snap-election for President and Vice-President was held in January 1986. Marcos together with his running-mate, Arturo Tolentino, were declared as winners by the COMELEC. NAMFREL, an alternative poll-watch body, came out with results that showed otherwise. The led Cory Aquino, the opposition candidate for President, to call for national boycott to protest the results of the election, claiming that such was rigged and was characterized by fraud. It was in February 1986 when the EDSA “people power” uprising power uprising took place. People from various sectors, including church people, lay and religious alike, took to the streets. This led to the ouster of Marcos on 25 February 1986 and ended his 14-year dictatorship. Cory Aquino then assumed the Presidency, established a “revolutionary” government, and convened the 1986 Constitutional Conventional. The hope for change was characteristic of those times. And everyone wanted to give the new administration a chance by extending his support. In its 1986 Convention, the AMRSP focused its discussions on the theme, “AMRSP: Its Role in and Contribution to National Renewal.” The AMRSP had then President Corazon Aquino as guest speaker for the said convention. Some would even remember with fondness how Aquino took time, even braving the storm, just to come to the convention. Sadly though, the ‘honeymoon’ of the Aquino Administration with the people, even with the Church, did not last long. Peace talks between the government and the National Democratic Front (NDF) took place in 1986. Against most people were hopeful that this process would work. This gave birth to a number of organizations and coalitions advocating peace. The AMRSP also took part in the ongoing effort for peace, not only through statements, but also through active participation and networking with the peace advocates. The ceasefire between the CPP-NPA-NDF and the government troops was declared in December 1986. However, this was cut short with the Mendiola massacre in January 1987, where 18 farmers were killed by government troops while holding a peaceful troops while holding a peaceful rally at the foot of the Mendiola bridge. Shortly after the breakdown of the talks, Aquino declared the “unsheating of the sword of war” in 1987. The “Total War” policy of the Aquino administration then gave rise to further human rights violations – tens of thousand of peasants and indigenous peoples were displaced from their homes, salvaging and forced disappearances were on the rise, arbitrary arrest and detention went on _ all in the name of the government’s counter-insurgency efforts. Again, even church people were not spared. Throughout this time, the AMRSP continued to reaffirm its prophetic role in society, as evident in its convention themes from 1987 to 1991, Consecrated Life in Today’s Mission of the Church” (1987); “The Present and Future Life in Prophetic Mission of the Church” (1988)’ “Religious Spirituality in Our Prophetic Ministry in the Philippines Today” (1989); “ Rerum Novarum: AMRSP in Solidarity with Labor!” ; and “PCPC II: Its Implication and Challenges to AMRSP” (1991). Fidel V. Ramos became President in1992. He paved the way for Philippines 2000, which in turn heightened the adverse effects of globalization, free trade and development aggression. At first, it appears as if Ramos’ program of Philippines 2000 will truly usher in economic progress. But events in latter years in office expose the frailty and failure of this model. Peso devaluation, trade deficits, capital flight, oil deregulation and oil price hikes, increase in prices of basic commodities, labor contractualization, anti-terrorism and crime-control bills, national ID system, environmental destruction, land conversion, displacements and demolition, and charter change are just some of the problems and issues faced by the country under the present administration. And through all these, AMRSP has joined hands with the people to struggle against the continuing poverty and repression. AMRSP was there in vigilant protest against GATT (195); the anti-terrorism bills and the establishments of the National ID system (1995); APEC (1996; oil deregulation and oil price increases (1997); charter change (1997) and the overall effects of globalization and Phlippines 2000. In the decade of the 90s, the AMRSP affirmed its response to the challenges of becoming the Church of the Poor as envisioned in PCP II. 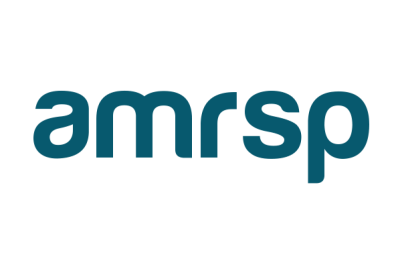 AMRSP’s leadership and membership have continuously met the demands of peace-building through statements and letters of concern and solidarity. Moreover, AMRSP has given witness through its Mission Partners – men and women, lay and religious – in their commitment to the AMRSP Mission Statementwhich upholds the Gospel values of Justice and peace. They have persevered, at times despite the risk of being alienated, mis-understood, even salvaged. They continue to denounce injustices in their pursuit of a Christian community,of life characterized by truth, love and peace. most of all we overcame our fear by acting inspite of the fear; the work of justice and liberation was a dangerous act because of the control of the powerful over the powerless; and the best control was to sow fear; this was an ever present dilemma of the (AMRSP). But by the grace of God and by the support of the masses of suffering people, the(AMRSP) was able to overcome fear faltering but never giving up. In the 1997 AMRSP Convention, the members, together with past AMRSP chaipersons gathered to celebrate the 25th anniversary, to recollect their prophetic mission challenges of the third millennium in the light of Gospel imperatives and of the teachings of the Church. The Mission Partners were there to present their programs and activities. As expressed in the Convenient Statement, there were touching, albeit disturbing moments as the Mission Partners shared their efforts to realize the transformation of the Filipino nation into a people who enjoy the fullness of life. But the evil forces of greed and corruption which stem from the menace of globalization have, more than ever before laid a stranglehold over the people’s lives through government pseudo-reforms imposed by the external agents often beyond ordinary human control. In the context of these realities, the major superiors gained a deeper understanding of consecrated life. Imperatives for prophetic mission reminded them that the common mission of integral human liberation requires a distinctive contribution from consecrated communities, namely, the Good news of Jesus and of total salvation in the Reign of God.